The first book in channeler Paul Selig’s widely anticipated Mastery Trilogy leads you into an unprecedented journey of self-development, at once building your personal excellence and your ability to improve life for others. Selig’s three previous books — I Am the Word, The Book of Love and Creation, and The Book of Knowing and Worth — have won a growing following around the world for their depth, intimacy, and psychological insight. 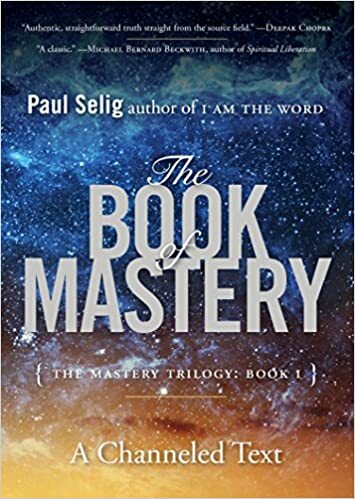 Now, Selig embarks upon an extraordinary new trilogy on the “Teachings of Mastery” with his inaugural volume: The Book of Mastery. The Book of Mastery provides a deeply practical prescription for heightening your abilities, aptitudes, and sense of personal excellence. The Guides’ teachings go much further, however, instructing you how to improve life for others and, ultimately, for global humanity. Born in New York City, Paul Selig attended New York University and received his master’s degree from Yale. A spiritual experience in 1987 left him clairvoyant. Selig is considered one of the foremost contributors to the field of channeled literature working today. Paul offers channeled workshops internationally. He serves on the faculty of The Omega Institute, The Kripalu Center and the Esalen Institue. Also a noted playwright and educator, he served on the faculty of NYU for over 25 years. He directed the MFA in Creative Writing Program at Goddard College for many years he now serves on the college’s Board of Trustees. He lives in New York City where he maintains a private practice as an intuitive and conducts frequent livestream seminars. Information on public workshops, livestreams and private readings can be found at http://www.paulselig.com. Suzanne Giesemann is the author of 11 books, an inspirational speaker, metaphysical teacher, and evidence-based medium. She is a messenger of hope who captivates audiences as she brings love, healing, and comfort through her work. Suzanne’s gift of communication with those on the other side brings stunning evidence of life after death, as well as validating her teaching about the purpose of life, the nature of reality, and attuning to higher consciousness. Her work has been recognized as highly credible by afterlife researcher Dr. Gary Schwartz, Ph.D., and best-selling author Dr. Wayne Dyer. 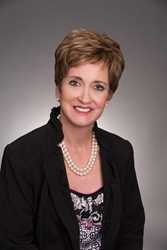 Suzanne is a retired U.S. Navy Commander. She served as a commanding officer, as special assistant to the Chief of Naval Operations, and as Aide to the Chairman of the Joint Chiefs of Staff on 9/11. In addition to earning the Defense Distinguished Service Medal, she has a Master’s Degree in National Security Affairs and taught political science at the U.S. Naval Academy. Her unexpected and fascinating career transformation to her current work is the subject of the documentary, Messages of Hope, which has been featured at several film festivals, including the Awakened World Film Festival sponsored by the Association for Global New Thought. IONS researcher Dr. Helané Wahbeh presents an overview of the six questions we hope to answer in our our long-range research program on this fascinating topic. In Multidimensional Evolution, author Kim McCaul recounts his journey to Java seeking a technique to help calm the demons that had been troubling him for the previous two years and his subsequent realisation that those demons were not the product of his own mind, but were actually real non-physical people who had been pursuing him from a previous life. It then focuses on three of the teachers that guided the author through insights and experiences on his search for understanding: Pak Sujono, who ran a meditation centre in Indonesia; a housewife in England, who enjoyed remarkable psychic abilities and the capacity to significantly alter the energies of those around her, and Waldo Vieira a Brazilian consciousness researcher and psychic. 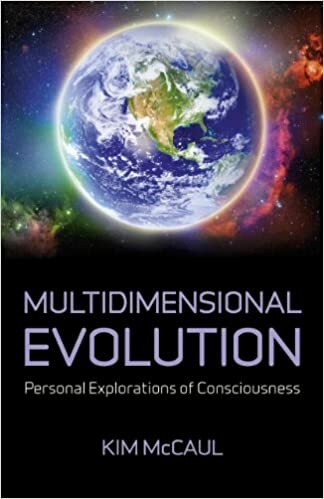 Multidimensional Evolution encourages readers to experiment for themselves, have their own experiences, come to their own understandings and make the most of this current physical lifetime. Kim McCaul is an anthropologist with a long-standing interest in consciousness research. For the past 17 years he has explored his own consciousness through meditation, energy work and out-of-body experiences. He studied with diverse teachers in Indonesia, Guatemala, England and Brazil and developed a deep understanding of the multidimensional constitution of human beings and many phenomena including clairvoyance, channeling, out-of-body experiences, life after death and spiritual healing. He is presently an instructor with the International Academy of Consciousness and runs regular workshops in his hometown of Adelaide, South Australia, and in other cities across Australia. The Psychic & Spiritual Awareness Manual is aimed at people who wish to develop their psychic and spiritual awareness in a very practical way. Although organically linked, each chapter deals with a separate aspect of development and also acts as a diagnostic empowering tool. It is a companion to the teacher and student of these disciplines alike and is based around the Spiritualist and New Age approach to full realisation. It fills the gap left by so many books written by people who are not true, experienced practitioners or adepts in these fields. This book is filled with helpful exercises and hands-on useful techniques designed to empower the reader and awaken within them a sense of who, what, why, where and how they are. 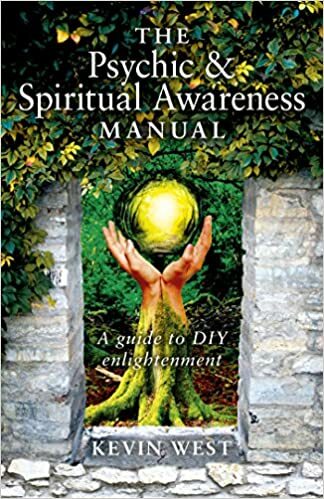 The chapters include lessons and writings on healing, meditation, psychic awareness, clairvoyance, psychometry, scrying, psychic and spiritual philosophy, colours, auras and their energies, sitting in circle, and much more. This book is not a narrative – it is a manual. Kevin West is a highly respected and experienced psychic and spiritual medium and has demonstrated and been a teacher of these arts since 1983. He is also a multi award-winning and controversial filmmaker. He holds two degrees in martial arts and is an expert in chi and auric energies. He lives in Liverpool, UK. 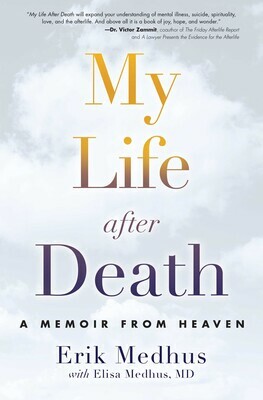 My Life After Death : A Memoir from Heaven By Erik Medhus and Elisa Medhus M.D. 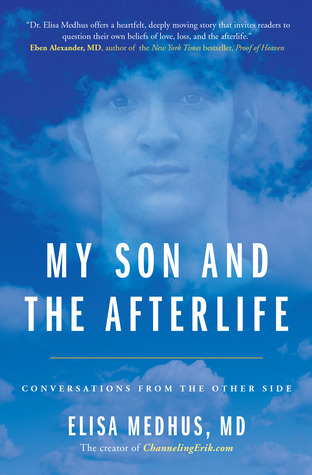 In the follow-up to Elisa Medhus’s My Son and the Afterlife —“a heartfelt, deeply moving story” (Eben Alexander, New York Times bestselling author of Proof of Heaven)—her son Erik tells his astounding story directly from the afterlife, describing in detail his death, transition, and spiritual renewal. Learn more about The My Son and the Afterlife at http://books.simonandschuster.com/My-&#8230; Until her son Erik took his own life at the age of twenty, Dr. Elisa Medhus never believed in life after death. As an accomplished physician, she placed her faith in science. All of that changed when Erik began communicating from the other side. Dr. Elisa Medhus never believed in life after death. As an accomplished physi­cian, she placed her faith in science. All of that changed after her son Erik took his own life and then reached out from the other side. Through an energy healer named Jamie Butler, Elisa was able to communicate with her son. This resulted in the wildly popular blog, “Channeling Erik”, and also the book “My Son and the Afterlife” and the upcoming “My Life After Death”. Hello everyone. This is Lincoln, the channel for Higher Self. Welcome to your reality. In this moment you are creating everything. Your perceptual awareness is the Source Light. All of the forms in existence are this Light. You will never exist outside of your Light. This entire Universe is within you, as you. You have chosen to enter this human reality to be the author of your life story. The thoughts you speak to yourself, the words you speak to others, your emotional energies and the actions of your body communicate to the Source Consciousness what you want to experience. The Source Consciousness is you. Become aware of yourself as this creator. Live from your Higher Self state and you become the conscious author of your reality. You choose what your life will be. Anything is possible. With this Truth known, how will you create your life? Since the age of 18, Lincoln Gergar has been helping people to awaken to who they are as the blissful consciousness creating their lives. At 25, Lincoln started teaching to a world-wide audience via YouTube, personal sessions, and events. In 7 years, his Channel Higher Self videos have received over 3 million views and he has taught in 13 countries on 5 continents. The message is simple, direct and clear. The life you experience is the direct expression of what you believe to be your reality. Expand yourself as consciousness into all parts of your mind, emotions and body to gain creative control of your human reality. Awaken to the Truth that you have always been the creator of your reality and live as this Truth. Inspiring and interactive, this manual demonstrates how to effortlessly release negative belief patterns and to respond positively to any situation by following the guidance of Ascended Master, Saint Germain. Providing the tools to connect to higher frequencies, this handbook encourages that individuals seeking spiritual enlightenment breathe, feel, and allow the energy of Saint Germain into their beings in order to realize his teachings. This remarkable meditation argues that integration and self-transformation can occur not only through the mind but also through the heart itself. Saint Germain was an 18th-century figure who connected to Theosophy and is credited as an Ascended Master. Ashmarae McNamara is a psychic medium and a founding member of the spiritual organization Awakening From Within. As you rest further and further into your journey toward enlightenment, there are some important questions that must be asked of the self. There is an honesty that must be sought and an offering up of the self to the unknown. As you begin to implement the truths that are revealed to you, learn to still the chatter of the egoic mind and listen to your inner voice, your entire being will start to shift into alignment with your divine life purpose and unique pathway to awakening. This book takes you on that journey of self-discovery and guides you to the place where true honesty with the self can be reached. You will come to discover all that is holding you back from your greatest reality and a life lived in joy, peace, and love of all things! Come to let go all that no longer serves you. Rest into love and love will rise up to embrace you, unfold you, and show you the truth of who you really are! Leah Baldwin is a qualified acupuncturist and yoga instructor. In recent years she has dedicated her life to surrendering deeper into a life of service for the divine. Resting into the beauty that is God himself and committing to letting only His words, deeds, and actions radiate forth from this one! This inspiring book explores Bashar’s life changing and revolutionary ideas. 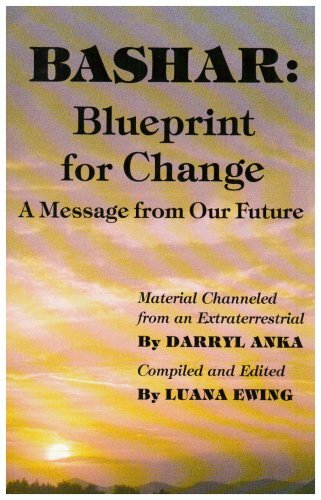 In “Blueprint for Change”, Bashar discusses the transformation of our planet and our purpose for being here at this time. He shares the secrets of ecstatic personal transformation and how to apply these ideas in your daily life so you can fully live the life of your dreams. Included are questions and answers from many live workshops and seminars that were conducted over the years. 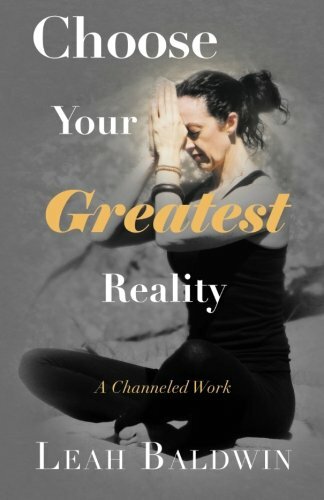 This exciting book contains powerful techniques for helping to expand your creativity and become a master at consciously creating the reality you truly desire plus much, much more! Blueprint for Change is a must read for anyone interested in exploring their personal potential and understanding the world we live in. Embark upon this remarkable journey into the future and learn about the wonders that await us! Darryl Anka is an internationally known channeller, speaker and author with sales of over 300,000 books in Japan. Anka claims that he began to communicate, through trance-channeling, with an extra-terrestrial entity called Bashar in 1983. He describes Bashar as existing in a parallel reality, in a time frame that we perceive as the future. The monologues and dialogues with Bashar cover a wide range of topics including human psychology, planetary evolution, metaphysics, and extra-terrestrials. Occasionally, Anka will act as a guest speaker in conferences related to issues such as ET contact. Anka has also channeled other entities, and the entity Bashar has also been channeled by other mediums. Anka appeared in the 2008 documentary Tuning In alongside other notable channels such as Lee Carroll. In their travels around the globe, Doreen Virtue and her son Grant (the best-selling authors of Angel Words) have met thousands of talented people who dream of being healers, spiritual teachers, or writers; or of opening healing centers or schools. They also long to be able to afford organic food, vitamin supplements, exercise instruction, trips to spiritual power places, and wonderful homes. However, they don’t move forward because they don’t understand how to attract the financial resources that are the basis for how the physical world operates. Doreen and Grant wrote this book to show you how Heaven can give you material and emotional support as you strive to attain your life purpose and manifest everything you desire. Each of the 11 chapters features a message from the Angels of Abundance—the specialty angels who ensure that your Divine mission here on Earth isn’t hampered by lack. Whether you wish to have more money, time, ideas, or opportunities, the Angels of Abundance will hold your hand and help you over the hurdles that have kept you from realizing your dreams—until now! Doreen Virtue, Ph.D., is a spiritual doctor of psychology and fourth-generation metaphysician who works with the angelic, elemental, and ascended master realms. She is the author of 22 books on mind-body-spirit themes, including Healing with the Angels, Divine Guidance, Angel Therapy, The Lightworker’s Way, and Archangels & Ascended Masters. Dr. Virtue is the founder and former director of WomanKind Psychiatric Hospital at Cumberland Hall Hospital in Nashville, Tennessee, and she served as an administrator at Woodside Women’s Hospital in the San Francisco Bay Area. Both all-women psychiatric hospitals specialized in treating women’s psychological issues. Dr. Virtue also directed three outpatient psychiatric centers, including an adolescent drug & alcohol abuse center. Dr. Virtue has appeared on The Oprah Winfrey Show, CNN, Good Morning America, The View with Barbara Walters, Donny & Marie, Roseanne, and many others. Grant Virtue is a fifth-generation metaphysician, certified Angel Therapy Practitioner®, and medium. He has studied candle magic extensively for ten years. Grant has developed his intuitive, spiritual, and manifesting abilities naturally over the years in supportive and spiritually open-minded environments. He never really related as a child with the mainstream expectations of children, and by 15 was studying theology and computer programming at the same time as attending “regular” school. Through her advanced spiritual work with Thoth, Danielle Rama Hoffman was introduced to the Council of Light–an intergalactic group of thousands of light beings from across the Multiverse. Their purpose is to support individuals as they shift into Unity Consciousness and return to their natural state of joy. The Council transmitted the teachings in this book for those seeking to accelerate their journey toward health, wealth, happiness, and their soul’s deepest desires. The Council’s teachings reveal that by shifting your consciousness and raising your inner vibration, you can change your daily life experience and manifest the life you want. These direct transmissions of spiritual technology from the Council include activations for the 11 Rays of Light, guided journeys and meditations, and written, spoken, energetic, and breath work exercises to creatively turn your debt into wealth, transfigure your food into light for better health and well-being, enhance your abilities for inter-dimensional travel, and return to your natural inner state of joy. 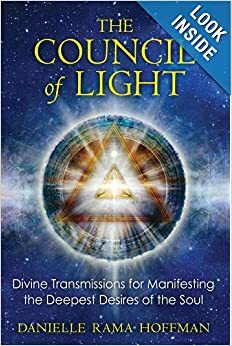 The Council explains how each Ray of Light has a specific vibration and application and can assist in removing any blocks to achieving your soul’s purpose. The Emerald Ray, for example, activates the signature energy of your authentic and full self, and the Venus Ray, the Ray of Opulence, supports alignment with abundance and prosperity. Danielle Rama Hoffman is a divine transmitter and scribe of ancient and innovative wisdoms for the purpose of elevating consciousness and inspiring personal growth. She is a leader in the shift into unity consciousness, living from joy, purpose and prosperity as divine creator beings. Danielle supports spirit centered light-workers, visionaries, coaches and personal growth enthusiasts to access their inner divinity so they can confidently share their purpose and unique contribution prosperously (unencumbered by fear, shame or doubt) and manifest the life they desire. She is the award winning author of The Council of Light and The Temples of Light. She is the creator of bestselling, life changing divinely guided programs such as Divine Birthright Activation, the Prosperous Soul and Thoth’s Magic Academy. She leads tours to Egypt and offers private retreats in Southern France. Find out more about Danielle and Divine Transmissions inc. at http://www.divinetransmissions.com. Even at birth, everyone is unique. Can heredity alone account for the complex differences in people’s temperaments and styles? The Michael teachings, an extraordinary body of channeled work, propose that we are each unique souls who deliberately take on a specific combination of traits to give us the experiences we seek. In this fascinating book, Shepherd Hoodwin expertly discusses these teachings from his vantage point as a Michael channel. “Michael” is a group of souls who teach that we are eternal beings journeying from the Tao and back again in an adventure of exploration and creativity. Each step along the way, we make choices that shape our experience. For example, after committing to a series of lifetimes, we choose one of seven roles, or soul types: server, priest, artisan, sage, warrior, king, or scholar. These teachings address many age-old questions, such as “How did we become who we are?” “Why are we here?” “Where are we going?” and “How does the universe work?” In addition, Journey of Your Soul sheds light on the channeling process itself, answering questions such as “How does channeling work?” “Why do different channels receive conflicting information?” and “What does it take to become a channel?” Hoodwin shows us that it is possible, and indeed beneficial, to engage all parts of the human consciousness. His unique analytical approach to channeling will help readers gain a firm intellectual understanding of what is involved. Shepherd Hoodwin has been channeling since 1986, and specializes in the fascinating Michael teachings, about how we set up our lifetimes. He is an intuitive, workshop leader, and teacher. He also does healing, mediumship, past-life readings and therapy, counseling, and channeling coaching (teaching others to channel). He is the author of the hilarious “Enlightenment for Nitwits: The Complete Guide to 2012 & Beyond!” His most recent book is “Journey of Your Soul: A Channel Explores the Michael Teachings” (second edition, North Atlantic Books, 2013). He is also the author of “Meditations for Self-Discovery: Guided Journeys for Communicating with Your Inner Self” (print and Kindle) and “Loving from Your Soul: Creating Powerful Relationships” (Kindle). Shepherd lives in Laguna Niguel, California. He can be contacted through his website at http://summerjoy.com (where you can sign up for his Perspectives newsletter). His blog is http://newagevillage.com/perspectives. Click here to take look inside. Click here to listen to a blogtalk radio show. This book has now been re-released as an expanded second edition through Amazon Kindle. Please note you do not need a Kindle device to read this book as there are free software readers for all computers, tablets, and phones. Story Waters is a modern day mystic/channeler, who differs from many spiritual teachers in the degree to which he seeks to be a fully embodied example of an integrated being. He does not therefore conform to the stereotypes of traditional spiritual teachers who often repress or hide their own humanity in order to reassure their audience of their ‘spiritual credentials’. It is this spanning of the most embodied energies to the heights of the human bridging consciousness (often called the Christ Consciousness) that makes his work so potent and cutting edge. Story was born in Brighton, England in 1972 where he currently resides. He is a spiritual author seeking to empower people to experience the light within their own being. Through his writing he empowers people to connect with, trust in, and follow their own spirit above any external person, organization, religion, or dogma. He inspires people to develop their own inner voice and to love and completely accept their own being without limitation. In June 2012 Story launched Limitlessness.com to begin the transition of his work to the open ‘Pay What Your Heart Chooses’ system. Humanity has lost itself. Both as individuals and as a world culture, we have forgotten our true nature. 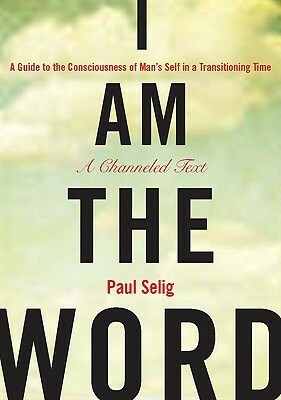 In I Am the Word, writer and medium Paul Selig has recorded an extraordinary program for self- realization, as dispensed through beings of higher intelligence, sometimes called Guides or Ascended Masters. These figures seek, as they have in the past, to assist men and women in discovering the higher, purposeful nature-or “Christed Self”-that lies dormant within us all. In a series of enticing, irresistibly practical dialogues, the Guides of I Am the Word identify the emotional “boulders” that displace our authentic selves and consume our potential. The Guides provide to-the-point psychological and existential insights, along with self-developing exercises and affirmations, which begin to strip away residues of fear, self-doubt, and self-suffocating habits. 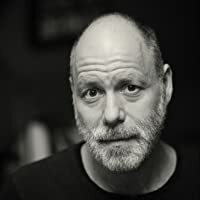 Paul Selig is a writer, teacher, and medium living in New York City, where he has led channeled energy groups for more than fifteen years. He is the director of the MFA in Creative Writing Program at Goddard College and serves on the play writing faculty of the NYU Tisch School of the Arts. His work for the stage has been produced internationally and includes plays, operas, solo performance work, and text for dance. –This text refers to an out of print or unavailable edition of this title. Paul’s story is inspiring and fascinating but what his Guide’s have to tell us about the future of humanity and the potential for the spiritual evolution of everyone and everything on planet Earth is both beautiful and challenging. The choice is ours. Also now would be a good time to read the book “I Am the Word” (available through Amazon and as a Google E-Book) which was in fact totally delivered to Paul through channeling from the Guides…so it’s very much their book and teachings. This documentary explores the divine evolution of the human race and our planet through the experiences of New York based psychic, empath and channel Paul Selig. Paul describes himself as an ordinary guy that has developed an ability to hear and repeat guidance from divine beings calling themselves simply “the Word” which they define as God in action. My unlikely conversation with Paul Selig, respected playwright, professor of dramatic writing at NYU’s Tisch University, author of best selling channeled material, star of the new show The UnExplained on Biography channel, caretaker of a flop eared dog named Darla and generally all around good guy. In Paul, I found someone who had reminded me of that early defining dream, of the magic and wonder we surpress and choose to forget so often. His work inspired me to take a leap. I determined to do what I had been mulling for awhile… a new t.v. show. So I invited him out to Los Angeles for an interview and something totally different for me. A brand new experiment… a television version of my newborn blog Waking Universe. To my great surprise, Paul graciously took me up on the offer and the result is the video above. 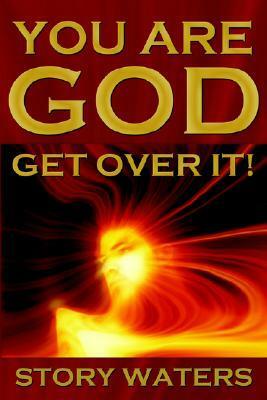 Paul is the author of the channeled books “I Am The Word” and “Book of Love and Creation”. He discusses his process, his history and the way we can become more ourselves and authentically at peace at any moment of our lives. Paul was born in New York City and received his Master’s Degree from Yale. He had a spiritual experience in 1987 that left him clairvoyant. As a way to gain a context for what he was beginning to experience, he studied a form of energy healing, working at Marianne Williamson’s Manhattan Center for Living and in private practice. In the process, he began to “hear” for his clients, and much of Paul’s work now is as a clairaudient, clairvoyant, channel, and empathy. Paul has led channeled energy groups for many years. In 2009 he was invited to channel at the Esalen Institute’s Superpowers symposium, where he was filmed for the upcoming documentary film Authors of the Impossible. He is the subject of the feature-length documentary film Paul & the Word which will be released late summer, 2011. His workshops in 2011 include Edgar Cayce’s A.R.E. in New York City, the Jungian Center in Vermont and the Esalen Institute in Big Sur, Calfornia. Also a noted playwright and educator, Paul serves on the faculty of NYU and directs the MFA in Creative Writing Program at Goddard College. He lives in New York City, where he maintains a private practice as an intuitive and conducts weekly, channeled energy groups. “AN EXTRAORDINARY VOYAGE THROUGH THE LABYRINTHS OF CONSCIOUSNESS! In A Journey to Oneness–the long-awaited sequel to the spiritual classic, Oneness–Rasha takes us on a fascinating seven year odyssey, as she shares the incredible story of her own spiritual journey. With the profound wisdom of Oneness (the Divine Presence many refer to as “God”) to light the way, this vivid literary tapestry gives us a candid glimpse into the depths of the awakening process and takes us for an authentic ride on the roller coaster of spiritual transformation. The loving words of Oneness, woven throughout, convey a deep sense of the sacred. And the simple act of reading becomes a life changing Divine encounter that each reader shares on an intimate, personal level. 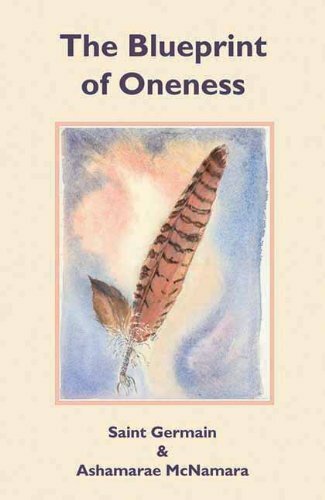 Author of “Oneness”, Rasha awakened to her inner-calling as a conduit of Divine guidance in 1987. She began working with Oneness, the Divinity we share, in 1998, documenting the Revelations that serve as the foundation for her work. In the process, she was taken step by step through the sacred journey to Oneness and through the life-altering changes that are shaking the foundation of today’s world. As a spiritual teacher with a profound message, Rasha is not affiliated with any established spiritual path, religion or guru. Her teachings are universal and focus on the experience of the Divinity within each of us. She has dedicated her life to addressing the profound spiritual awakening that is the hallmark of these times. American by birth, Rasha now lives at the foot of the mystical mountain, Arunachala, in South India. There, cloistered in blessed silence, life is filled with the joy of transcribing the words of Oneness for future volumes. Her talent is unique and so is her story. It was the summer of 87 and at the time Rasha was not channeling but rather earned her living as a Nashville songwriter. She was alone – sitting by a lake and scribbling lyrics for a love song on the back of an envelope. Then “out of the blue” she suddenly hears the whispered words “I love you” and experiences what Rasha describes as a “blasting wide open” of her heart chakra followed by a stream of mind-stretching spiritual concepts and information flooding her consciousness. My Son and the Afterlife Conversations from the Other Side ~ Elisa Medhus, M.D. Until her son Erik committed suicide at the age of twenty, Dr. Elisa Medhus never believed in life after death. But all of that changed when Erik began communicating with her from the other side. As an accomplished physician, Dr. Medhus had placed her faith in science. But the tragedy surrounding her son’s death forced her to seek answers, to ask those universal questions we have all asked ourselves: Is there life after death? Do the dead communicate with the living? In My Son and the Afterlife, answers are finally revealed. Through a series of conversations, Erik reveals a compendium of new knowledge on the nature of death and afterlife, the abilities and activities of the soul, and the powerful experience that love knows no boundaries—not even death. Elisa Medhus, MD, is an accomplished physician who has practiced internal medicine for more than thirty years. She is the author of three award-winning parenting books and has lectured on parenting in schools, parent groups, and corporations. A strong believer in science, she formerly viewed spiritual matters with skepticism, until the death of her son. 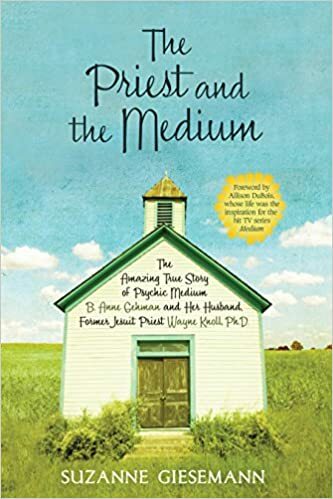 Once Erik began to communicate with family, friends, and blog members, Dr. Medhus’s entire paradigm shifted as she embarked on a journey toward spiritual understanding and belief. Channeling Erik: Interviews with my son in heaven and the afterlife. After my son, Erik Medhus, took his own life, he began to visit friends, family and the readers of my blog, http//:www.channelingerik.com. Eventually, he began to share what he had learned from the Other Side. This channel will include either videos or audio only recordings of his insight and wisdom. All of them explore the true nature of death, the afterlife, reality, the soul and the human experience — as told by Erik himself, translated by world renowned medium, Jamie Butler (withloveandlight.com). The interviews found in this channel are the first of its kind to finally provide answers, directly from Heaven. Today’s topic: a five part series on the human experience . Please go to his Facebook page at http:\\www.facebook.com/ChannelingErik and join his blog at http://www.channelingerik.com. Welcome to my YouTube Channel. The information offered and the stories described here are deeply personal and specific to my experiences with my son Erik. It’s important to realize that he’s just a kid without a body sharing what he learns from his place on the Other Side. He’s not any sort of “God,” just my child wanting to communicate with me from the afterlife. I’ve chose to share the conversations he and I have here and in my book, because, as a physician and scientist raised by two atheists and devoid of any personal belief system about life after death, I was both stunned and intrigued at the unfolding of this story. As a lifelong skeptic, I wanted to share my Journey to Belief with others who might find strength, greater understanding of their own lives and the possibility for life after death. It’s important to make it clear to all my dear readers that my blog and my book are not substitutes for professional help, when and if needed, and that I am never saying, nor do I believe that suicide is a viable or preferred solution for one’s problems. I am merely telling my story and my son’s in the hope that many will find it a source of comfort and insight. Everyone’s journey will be different. This is simply mine. Perhaps knowing there is life after this one will make our life here on Earth that much richer.